The skin surrounding your eyes is exceptionally delicate and requires TLC to preserve its fragile fabric. 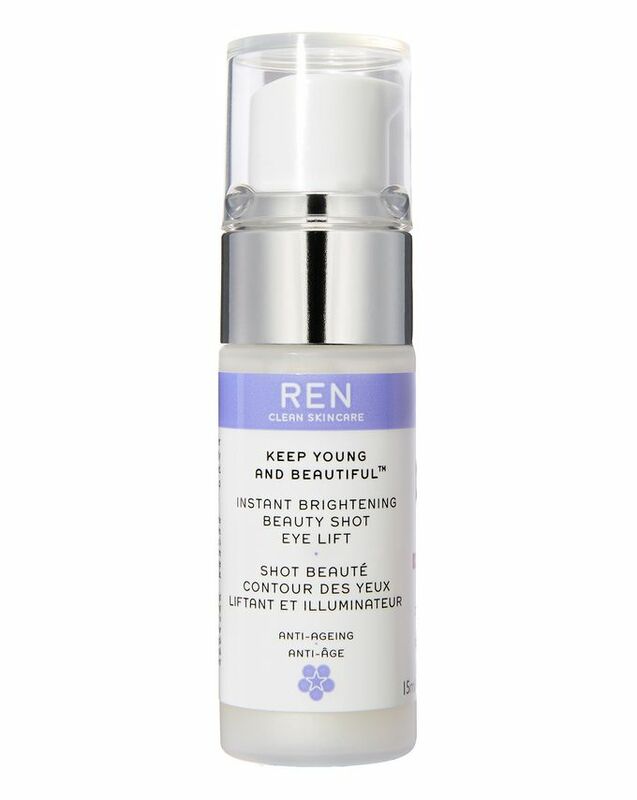 REN CLEAN SKINCARE’s Keep Young and Beautiful Anti-Ageing Eye Cream contains 100% plant and mineral derived active ingredients to boost skin’s natural processes and in turn, help minimise wrinkles, lessen the appearance of deep-set expression lines and tighten the orbital area. The result is brighter, revitalised eyes that stay looking younger for longer. 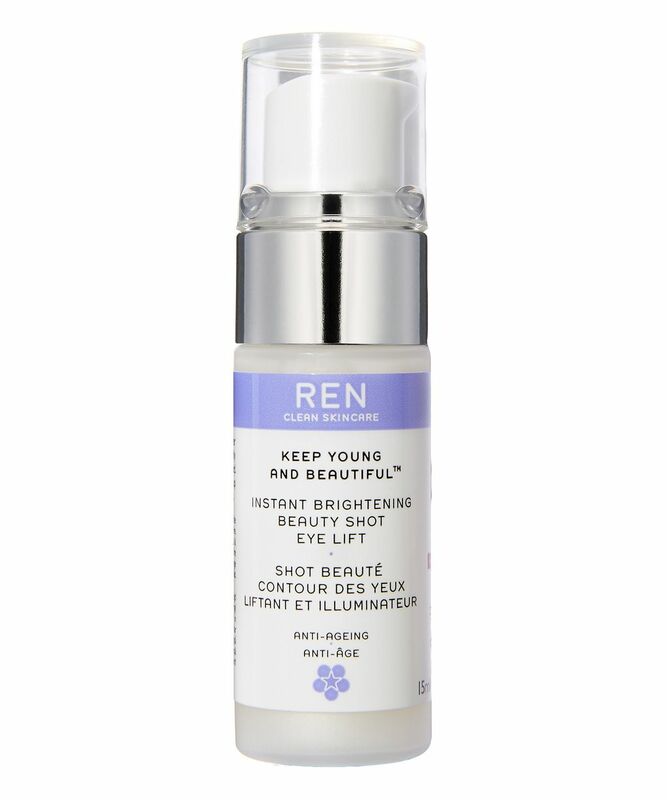 An ultra-lifting eye cream, REN CLEAN SKINCARE’s ‘Keep Young and Beautiful’ is a cocktail of potent, active ingredients to reduce the appearance of wrinkles, crow’s feet and deep-set expression lines. Formulated with Hexapeptide-11 (derived from the Yeast fermentation process, this promotes skin firmness whilst reducing wrinkle depth); Native Peptides (which ‘fill in’ wrinkles and minimise deep set expression lines); Hydroxyproline (to plump and tighten skin); Alpha-Linoleic Acid (to lighten discolouration and boost moisture levels); Ceramide (to hydrate and fortify skin) and Plant Collagen (to increase moisture), this hard-working cream is a one-stop-peeper-perfecting shop. Apply one pump to the skin around both eyes. Gently pat without rubbing until absorbed. Rosa Damascena Flower Water, Cetearyl Alcohol, Cetearyl Ethylhexanoate, Triheptanoin, Camellia Oleifera Seed Oil, Caprylic/ Capric Triglyceride, Squalane, Glycerin, Cetearyl Glucoside, Rosa Canina (Rose Hip) Fruit Oil, Butyrospermum Parkii (Shea Butter), Myristyl Myristate, Dipalmitoyl Hydroxyproline, Lauryl Laurate, Oryzanol, Palmitoyl Hydrolyzed Wheat Protein, Phenoxyethanol, Vaccinium Vitis-Idaea (Lingonberry) Seed Oil, Hexapeptide-11, Safflower Glyceride/ Palm Oil Aminopropanediol Esters, Bisabolol, Sodium Hydroxymethylglycinate, Tocopherol, Xanthan Gum, Panthenol, Faex (Yeast) Extract. I find this cream effective. My eyelids have become hooded with age which this cream has helped. I actually couldn't believe it when I looked in the mirror and saw a more visible eyelid. I find it feels really comfortable and makes my eye area feel better as it often feels dry. It brightened the eye area. I haven't used it long enough to know if it will help the fine lines around my eyes, here's hoping! Has a slight aniseed smell to it but that didn't bother me. I'm looking forward to try more of the REN range after my success with this eye-cream. I've got it as a sample of this and I've tried it straight away. Well, I'm 31, and haven't seen any difference after using this cream (which lasted many days, applying it morning and night), maybe it's because it needed more time. Anyway it's really moisturising and was a nice cream to use. I have very sensitive eyes and have wasted so much money over the years on trying to find an eye cream that doesn't irritate my eyes. This REN eye cream is lovely. It feels gentle enough for my sensitive eyes, yet firms, hydrates and lifts.